I’ve been on a bit of a hiatus but the holidays are making me jump right back into things! 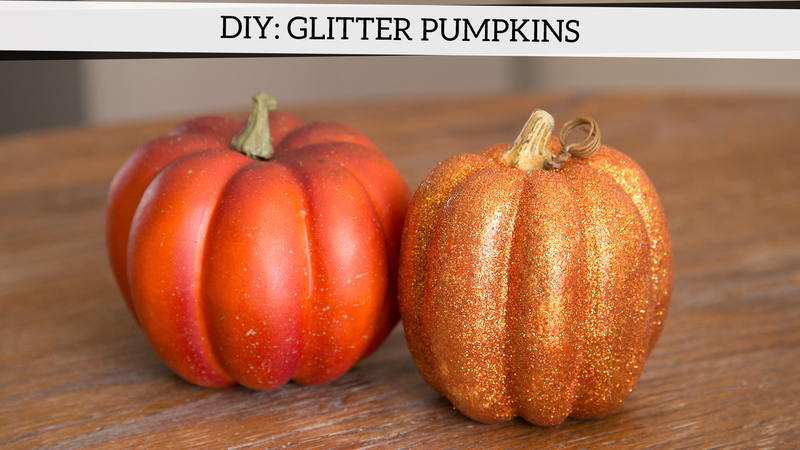 These glitter pumpkins are one of my favorite crafts to do for Fall. It’s a quick and easy craft for anyone who wants to add a little extra sparkle to their holiday decor. They also make for great last minute hostess gifts. Check out the video for the tutorial! 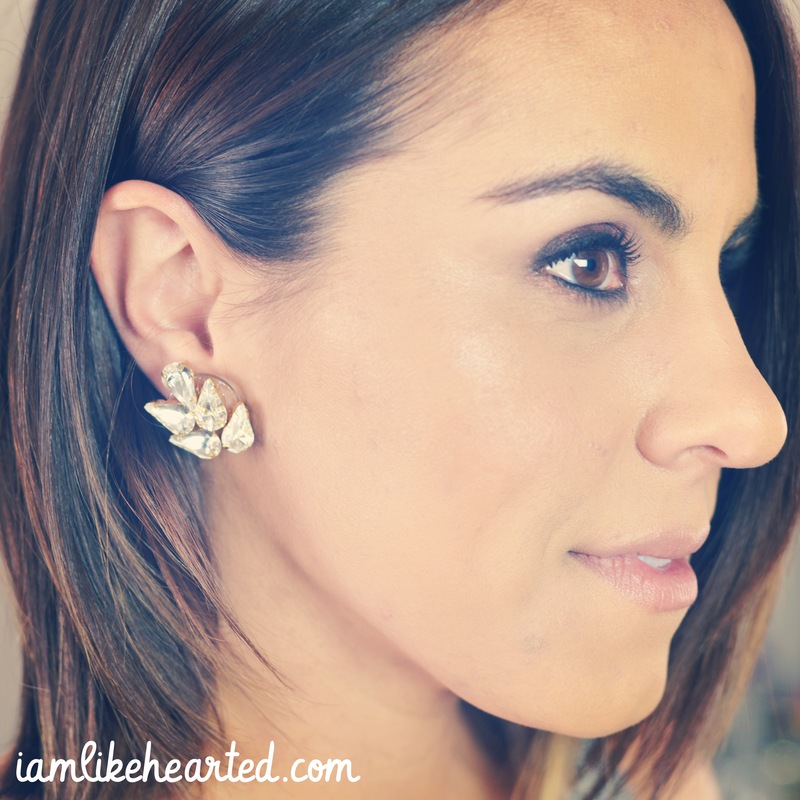 All you need is a little smoking eye, this ear cuff and you are ready to hit the town tonight! 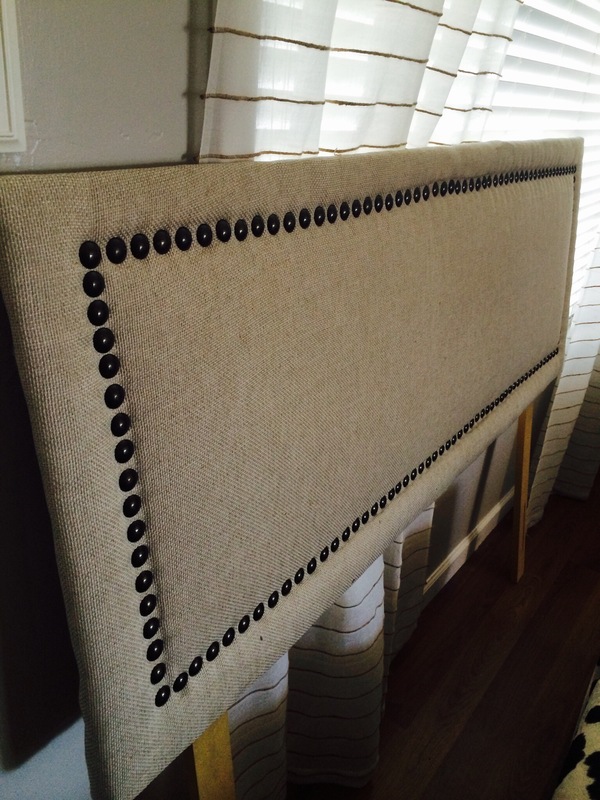 Learn how I turned this 80’s headboard into a modern upholstered piece with nailhead trim design. 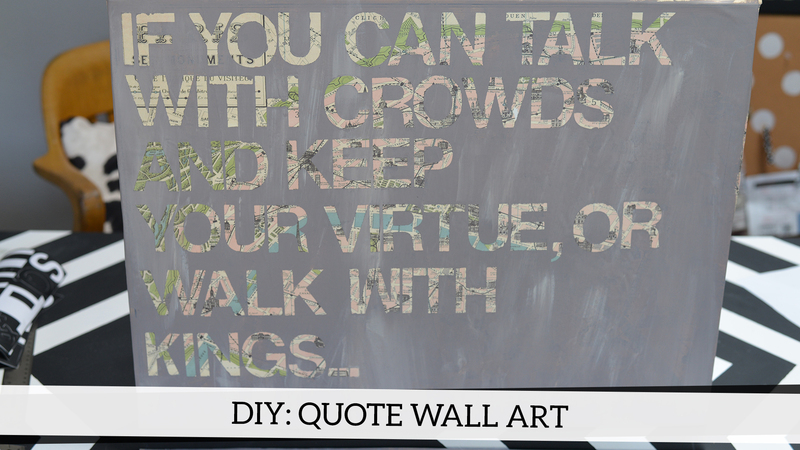 This type of urban artwork has really gained a lot of popularity lately and it couldn’t be easier to create your own version at home. The best part is that you can customize it to your heart’s desire with quotes, city names or streets, song lyrics, etc. Share what you create by posting an image on Instagram and tagging me @likehearted. Can’t wait to see what you all come up with! When I found out my very good friend Britany Simon (yes, the fabulous HGTV design star and killer interior designer) was expecting her first baby I knew that the nursery was going to be nothing but stellar. 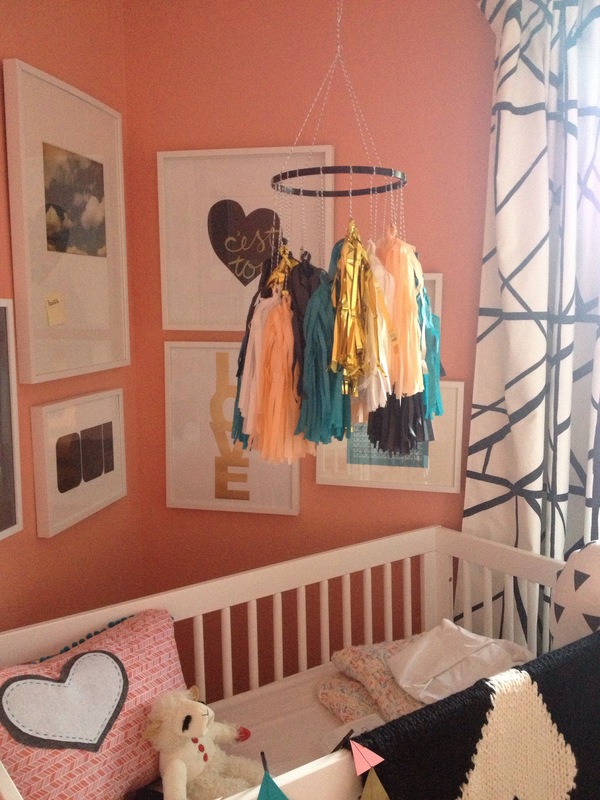 I saw this idea to use the tissue tassels as a mobile and asked Brit if I could use my DIY skills to make one for her little girl’s room, she happily agreed! The bold colors and pop of metallic (you wouldn’t expect anything less from a Britany Simon design) adds the perfect amount of glam & drama for the centerpiece of the room. I just love the way it turned out! 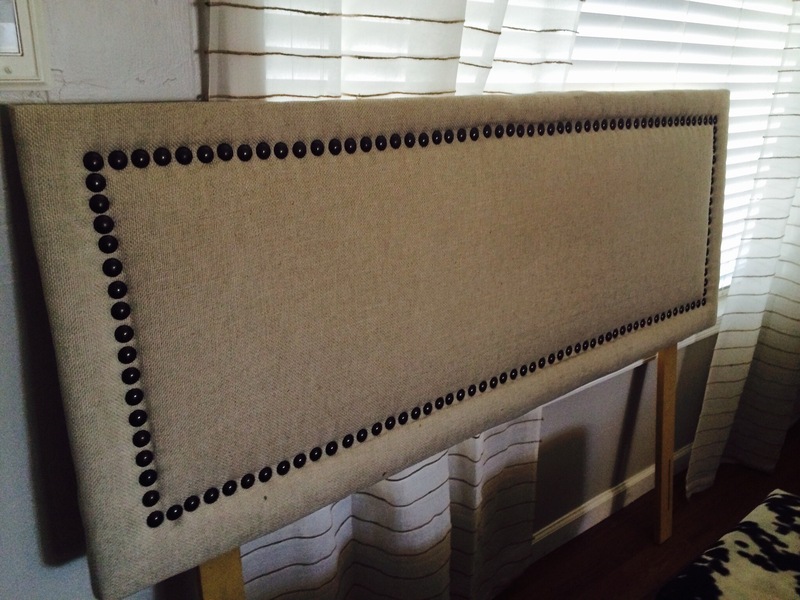 Remember the very first tutorial video I made, the tissue tassel garland!?! 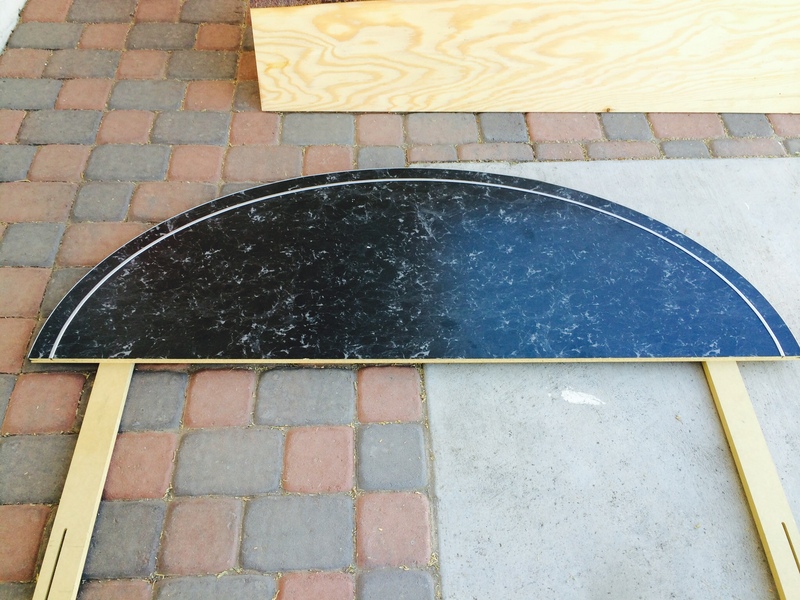 You can use this same technique to make your very own mobile. 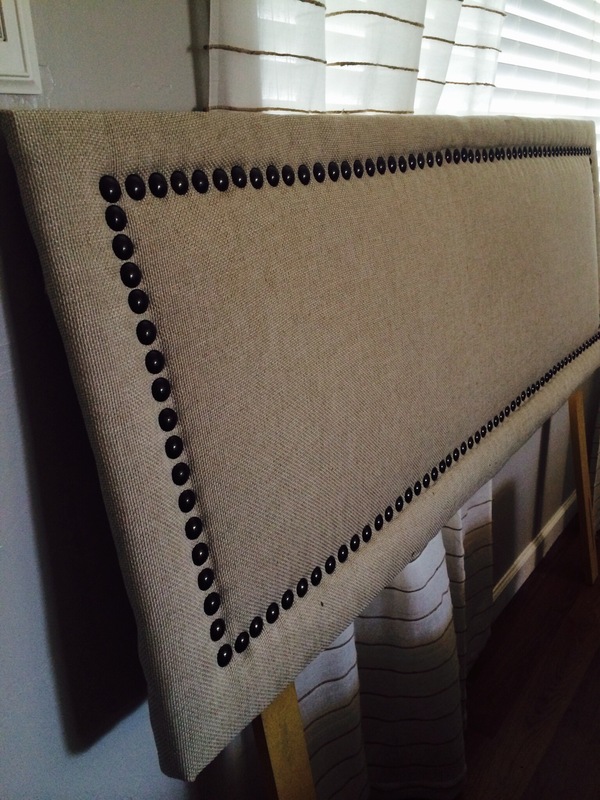 Just in case you don’t want to do it yourself, I’m happy to do it for you! Check out the custom listing on my Etsy store. After 2 years, I’m finally doing updates to the outside of my house. First up, repainting the front door a fire engine red. I’m usually not a fan of red, but I love this Benjamin Moore color called Ruby Red. I will admit it took me a few days (okay…maybe a few weeks) to get use to the color. My great-grandpa was a fire chief and my mom loved firemen, so this color brings back so many memories and puts a smile on my face every day I walk out the door. 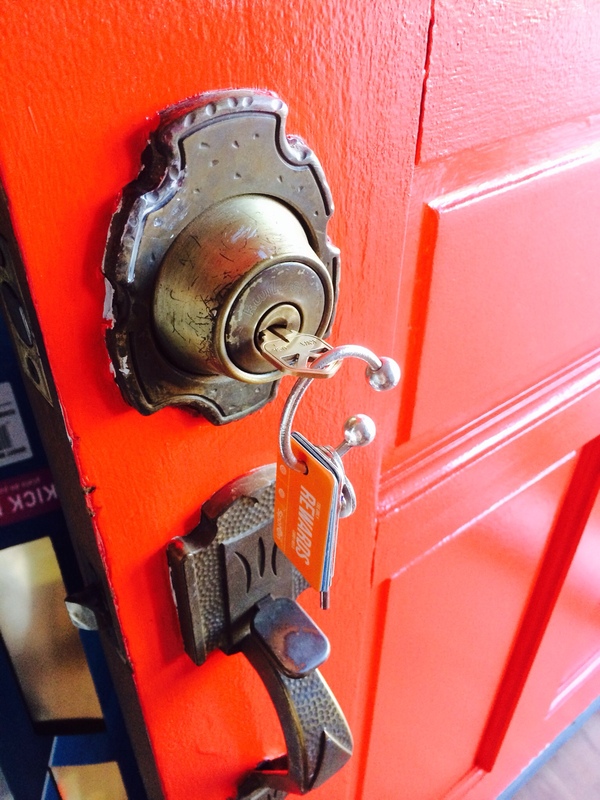 The new color looks lovely, especially after you leave your keys in the front door overnight!